It is no doubt that iPhone always comes with a built-in calendar app, but more and more people find that it only offers the basics for handling one's schedule. So in order to satisfy different needs or demands, there are many third-party applications in the App store that make tracking your tasks and events much easier and convenient. So if you are one of person, who are looking for a proper iPhone calendar app for yourself, you can have a brief look on the list here and pick up the best one according to your own specific needs. If you wish to find a totally free yet featured calendar app for your iPhone, then the Sunrise could be an ideal option for you. It is can well compatible with Google Calendar, iCoud and Exchange, which will take a new experience into your mobile digital life. In the primary interface, you can view a running list of appointments, and it always comes with icons that indicating event type and weather for you. 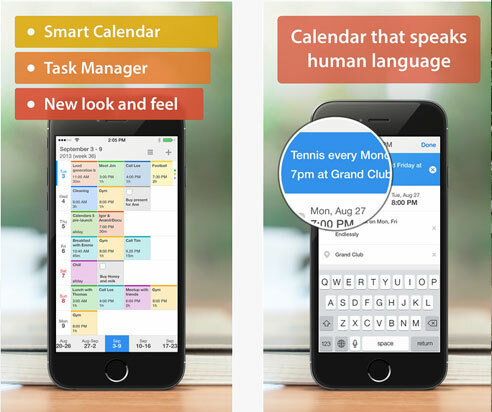 This will make your daily or monthly schedule more clearly in your iPhone. What's more, with this free iPhone calendar app, you can see faces and profiles of people you're meeting with using LinkedIn and you're also allowed to use Google maps for directions as you like. Cool, right? Just get it from the iTunes store and experience the fantastic features from now on! 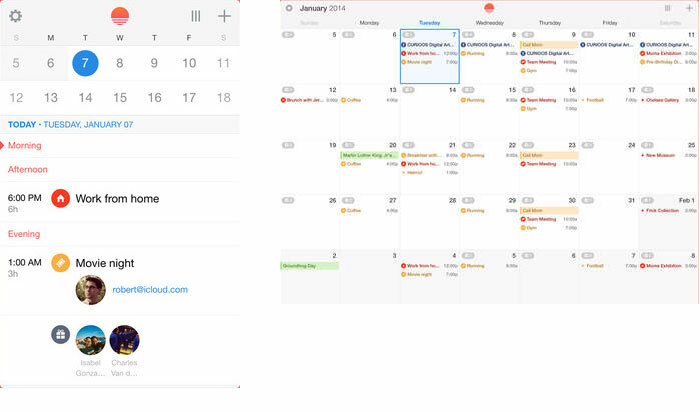 - Automatically connects with all your existing calendar services so that you're always up to date. 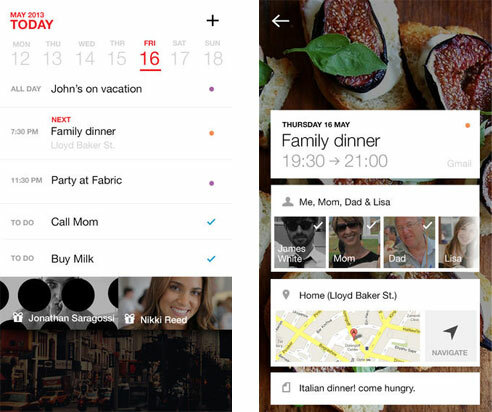 - You can pull down a monthly calendar to spot events while you're in the agenda view mode. And you also can flip to landscape mode for a block view as you like. - When you create a new event, you can use Cal to find great places, restaurants & bard nearby for your events. So that you can have a great relax after finishing your job. Believe us, Cal is a good application for you up to speed on your process, make your life more well-organized and convenient. If you doesn't trust the introduction here, you can get the application by clicking here, and then experience it by yourself. Unlike the above mentioned apps, Calendar 5 is not a free iPhone Calendar app, but from the feedbacks of its users, it is worth the price. From the interface of the Calendar 5, you can find that it is presents the date and events in the mode of list view, which will show you the upcoming events. Thus, you can quickly toggle between day, week and month views to figure out your life in a snap. Of course, you can selectively to view your events in the mode of Day, Week or Month views as you like, this is mainly depending on the situations that you're. And you're allowed to reschedule these events by drag and drop operation. What's more, this app can works well no matter you're online or offline. There are so many alternatives to iPhone calendar app for your reference, you can compare them and pick the one you like for further using. And if you wish to backup some important notes, events or files to computer for backup, you can take a free trial on the best MobiKin Assistant for iOS.